Gig Harbor’s current foreclosure home market is a tremendous opportunity for the investor or first-time home buyer. Gig Harbor is a uniquely attractive opportunity as it has traditionally been one of the most stable real estate markets in western Washington and has some of the most valuable real estate in the area. Therefore, the potential for cash flow and sweat equity are attracting investors and first time buyers from all over the region who are primarily interested in Gig Harbor foreclosures and bank owned homes. Gig Harbor offers investors several ways to build their portfolio of properties. They can buy foreclosures and bank owned homes to rehab and flip. There are many modest fixers and other bank owned homes that just need a few updates and repairs to increase the market resale value. Investor groups and individuals can pick this type of property, do the rehab, and sell for a profit. 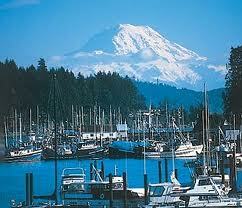 Gig Harbor has a booming tourist industry with travelers coming to see the scenic and historic waterfront. Many investors base their portfolio on foreclosure condos and townhouses that they buy at auction and then rent out to tourists. They can also follow the long term lease market and rent single family homes in Gig Harbor. Gig Harbor foreclosure homes vary widely, from smaller single bedroom houses to larger estates with acreage. Many are on or near the waterfront and highly desirable. Therefore, buying a Gig Harbor foreclosure is a highly attractive option. Our website: www.piercepowersearch.com can aid a buyer in locating just the type of foreclosure home they are seeking in Gig Harbor and the surrounding area. Whether seeking an investment property, first home , or perhaps a vacation retreat , all of the listed real estate in Gig Harbor can be found here including Gig Harbor foreclosure homes. One of the exciting tools on the PiercePowerSearch site is the easy to use MAP. Buyers can go to a specific area and search for Gig Harbor foreclosures and bank-owned homes. With this feature, searchers can see all the current condos and homes for sale in that area, especially useful for those seeking foreclosure homes near the workplace or other specific locations such as schools. Property type and size is, of course, a major factor when buying a home. The Gig Harbor foreclosure home market has a wide variety of property types. Our search tool allows buyers to zero in on the kind of property that meets their needs. Users can quickly sort by multiple criteria such as location, square footage, number of bedrooms, lot size, etc. Our website even provides search criteria choices for those seeking views and waterfront properties as well. Whether you are a family just moving to the area, or a young professional relocating, our site can help you find what you need in the Gig Harbor foreclosure home market. Price is always an important factor and there are a wide range of prices throughout the Gig Harbor foreclosure home market. PiercePowerSearch allows buyers to search specific prices, or enter a wide range from minimum to maximum price. For buyers with cash or pre-approved loan amounts, this lets them concentrate their search on foreclosures and Bank owned property they can afford. Many people also want to buy in certain community types and PiercePowerSearch has the tools for that kind of search too. Users can search all the available properties in Specific neighborhoods, even specific streets! If nearby recreation, mountain views or harbor front properties are important, users can search Gig Harbor foreclosure homes under those criteria as well. PiercePowerSearch site Visitors can schedule a property visit as simply as clicking the mouse. One of our Gig Harbor foreclosure agents will return contact promptly! Our site has information on financing as well as real estate and mortgage professionals. PiercePowerSearch is a great tool for buyers. From the initial property search in the Gig Harbor foreclosure home market to closing on their dream home. We offer powerful and accurate tools for anyone interested in searching for Gig Harbor foreclosure homes.